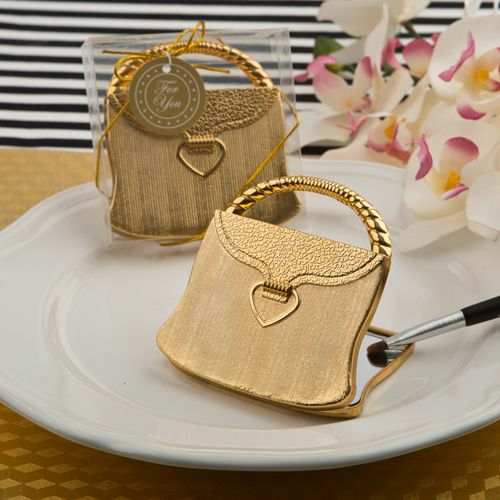 Here's a pretty little purse for your guests to put inside their own pretty purses! And, this heart design purse compact has a secret - two handy mirrors inside! 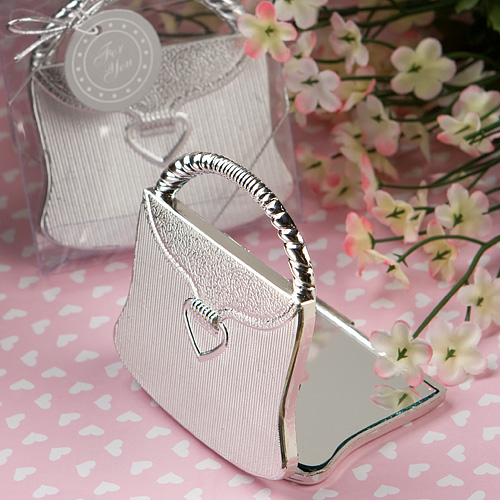 Each measures 3" x 3"and is made with a shiny-silver-plated color, hard molded plastic outer compact cover in an adorable realistic and detailed purse and handle shape with a hinged opening that reveals a dual-sided mirror interior. The perfect accessory for every outfit, each comes in a clear acetate box, tied with a silver bow and an attached silver "For You' tag. I you guys are awesome. The items we bought were great.